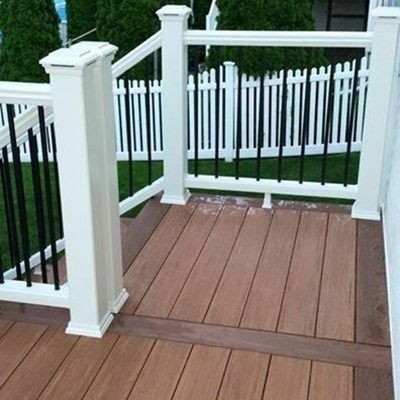 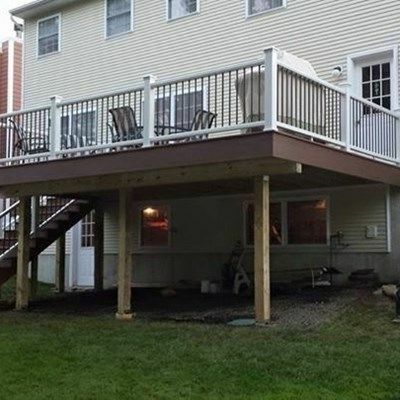 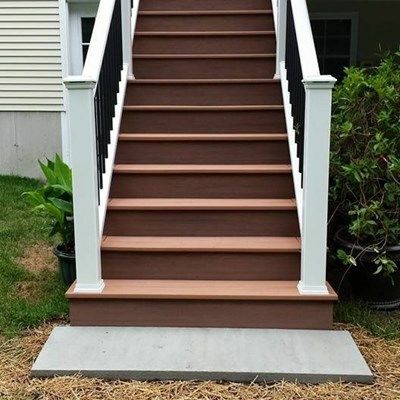 The decking choice here is the brand new for 2015 and gorgeous AZEK Vintage collection in two different colors: Mahogany for the picture frame border, stairs and trim; and Cypress for the decking in the field. 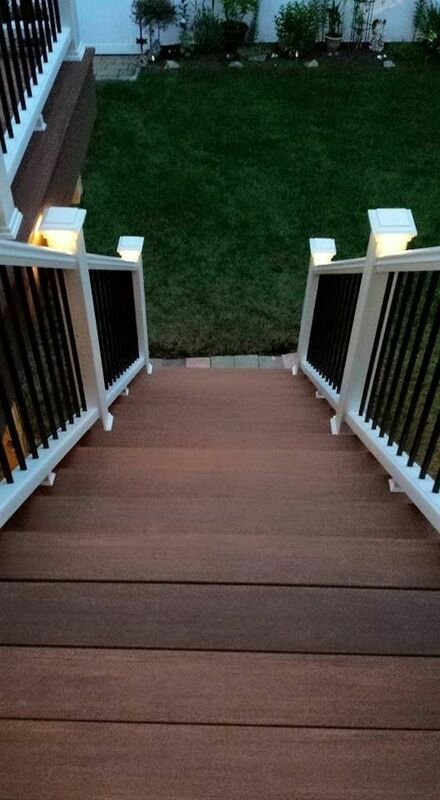 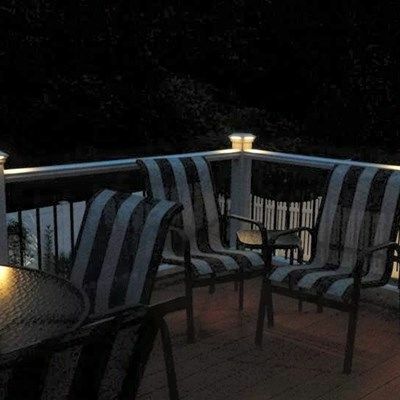 The railings are TREX Transcends in white with black, round aluminum balusters for better visibility. 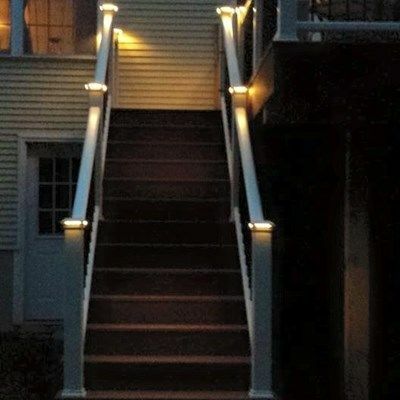 The railings also have the way cool TREX lighting system on the post caps. 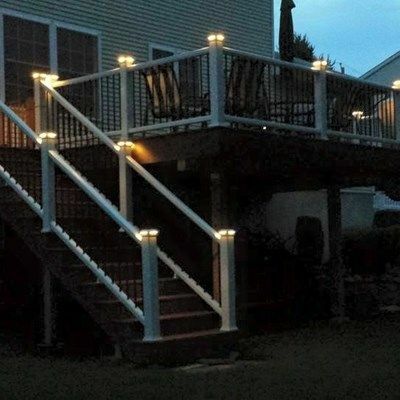 Another WONDERFUL Outdoor Living Space!